To what extent is desire—which, at first sight, seems to be a phenomenon of the impulses connecting humans with animality—culturally conditioned? How do clichés about femininity affect a woman’s attitude to life and the decisions she makes? How much room have women had to discover their desire in a cultural and sexual history written by men? 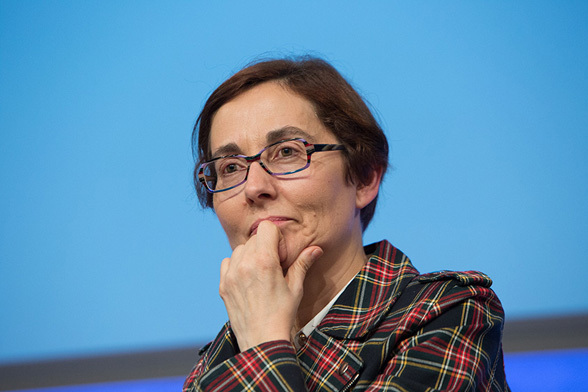 We speak with Marta Segarra, Professor of French Literature and Gender Studies at the University of Barcelona and director of the Women and Literature Centre. Desire in accordance with cultural patterns, and not only those which shape education and reading but everything we absorb on a daily basis, more or less unconsciously. Anna Punsoda: Love is cultural and desire is natural. Marta Segarra: Yes, love is a cultural construct. Of course it’s not understood the same way now as it was five hundred years ago, or in Barcelona as it is in Dakar. But desire isn’t natural either. We tend to think that it’s instinctive, impulse-driven, or natural, as you say. But we also desire in accordance with cultural patterns, and not only those which shape education and reading but everything we absorb on a daily basis, more or less unconsciously. For me, the most obvious cultural pattern is that which pushes us towards heterosexuality. We think it’s natural for men to desire women, and for women to desire men when, in fact, things aren’t always like that. Obviously. Culture pushes us into a kind of heterosexuality which some theorists have called “obligatory heterosexuality”. Affections, but also sexuality, are marked by cultural patterns which nowadays are mainly conveyed by audiovisual stories, in films, television, advertising and the new social networks. AP: Speaking of patterns, in your essay Políticas del deseo (Politics of Desire) you contrast two archetypical women, the biblical Mary and Eve. What do these archetypes represent and who do they serve? MS: To begin with, they are a clear example of how, in the West, our thought has always been constructed in a binary fashion. Good and Evil. Body and Soul. Pure Love and Sexual Love. Hence, two models have been promoted in the gender of “woman”: the good woman—mother and, moreover, virgin or, in other words, bearer of life without ever having felt sexual desire—and Eve, who would be the first femme fatale in history, the woman who entices the man into materialism, who leads him to damnation through the power of her attraction. Eve is temptation and death because expulsion from paradise symbolises the introduction of mortality into the history of humankind. This pattern, which takes conceptual shape in the nineteenth century, is very old. And it has a very clear message: desire brings disaster. This is the legend of Carmen, the woman who doesn’t fall in love but is so attractive to a whole range of men that she ends up spreading death and pain. AP: And this idea of the seductive, manipulative woman who is well aware of the effect of her charms, doesn’t it contradict the cliché that presents us with woman as a childish creature dominated by telluric forces? MS: It certainly does. This latter idea is a commonplace which paradoxically gained ground in the eighteenth century, the Age of Enlightenment. We are told that, because of her body, her anatomy, woman is closer to what is natural and this is because femininity is bound to maternity. According to this idea, man is exempt from this and he can therefore sublimate the link with nature through reason and rise above material contingency. AP: So woman has always been represented the eternal element, the basis of things and man the complement, namely progress. MS: Yes, and precisely in this sense we have the classical conceptual opposition between procreation and creation. Maria Àngels Anglada deals with this in a poem called “Una resposta” (An Answer). These two activities have been seen as mutually exclusive for many centuries. A lot of women have internalised it and are convinced that their role in the world is first and foremost one of transmission, continuity and family care. The female artist has often been presented as the archetypical bad mother because she devotes herself to art—or her job, or whatever—going beyond the bounds of the role that nature has allegedly assigned her. AP: And aren’t there clichés, like the one that presents the woman as “she who receives (man, children, etc. )” based on biology? MS: Well, that depends what you want to emphasise. The woman can also be “she who expels”. In fact, Marguerite Duras has a whole theory about giving birth (the first expulsion) as primordial movement. Think about how the social structure would be affected if, instead of having imposed the story of the “body that receives”, it had instituted the one of the “body that expels”. AP: What space has woman had to discover her desire? MS: For centuries the dominant discourse has claimed that man desires and woman is the object of desire. Freudian psychoanalysis reinforced this idea. The only role that women could have was passive. In Europe at the beginning of the twentieth century some women—still only a few—demonstrated, through the way they lived, the possibilities of breaking bounds, of living their desire according to their own parameters. But we begin to discover ourselves with the feminist movements of the 1970s. “Our body is ours” is a demand that has to be understood in this sense, as a possibility of shunning stereotypes of femininity with the aim of discovering our own desire. AP: Unlike love, which has been seen as a means of transcendence, desire tends to be presented as a state of anxiety and yearning to possess. MS: Yes, but it’s not so simple. Sometimes desire becomes the desire to possess but, then again, since it pushes us into a state of crisis as subjects, it shakes us up profoundly and it is our “undoing”. We want to possess the other and end up dispossessing ourselves. In this regard, the effects of desire are interesting because they lead to a crisis in the autonomy and self-sufficiency of the subject whose limits become problematic. AP: There is ethical desire. MS: That’s one way of putting it. For example, in Undoing Gender Judith Butler presents sexuality as one of the ways or one of the human domains in which it is easier to “undo oneself”, to break through the limits that isolate us as individuals. We open up to the other, to our difference from the other, which is to say difference in the broad sense. AP: And the sexualisation of everything, the constant presence of stimuli, how does that affect desire? MS: Hypersexualisation is a way of channelling desire within very specific constraints. Yes, we emerged from centuries of repression as European society was very puritan in centuries of the past. But present-day “sexualisation” doesn’t necessarily means that the possibilities of desire are opened up. The 1970s feminist discourse on liberation has been reabsorbed by power and the logic of capitalism in order to boost consumption. Liberation per se is not subversive. Desire per se is not subversive. In fact, it’s possible, too, as we are seeing in many cases, that “liberation” and desire are not causing any crisis in the structures of power but, rather, are reinforcing them. 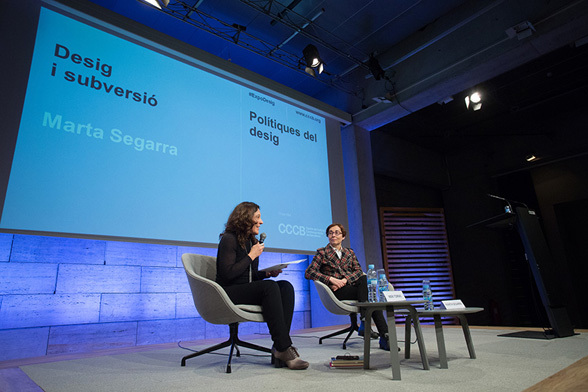 Marta Segarra collaborates in several debates and CCCB programmes about the role of women in society. You can consult all the contents related to the author on the CCCB website.